Founded in 2014, Peace of Mind Property Management, LLC focuses on providing efficient customer service that gives property owners peace of mind. Tom White saw an increasing opportunity with new technology to enhance property management by creating systemic, efficient service model with systems such as over night accounting , 24/7 repair maintenance and visual reporting. Peace of Mind Property Management is committed to representing the owner and protecting their investment and liability. In February 2014, Vera Gonzales became the lead property manager. She is committed to serving our property owners by helping coordinate repairs and dealing with resident issues. 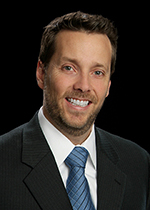 Tom White founded Peace of Mind Property Management in 2014. Tom is responsible for the vision, strategy, and sys-tems of the team. Raised in Midland, Texas, Tom left Texas to study at Colorado School of Mines where he graduated with a degree in Chemical Engineering. Later he received his MBA from the University of Phoenix. Currently Tom also leads the Tom White Group, which is currently among the top 1% of REALTORS® in sales in San Antonio. From 2012 to 2014, Tom has been a Platinum Top 50 Award Winner, which annually recognizes the top 50 REALTORS® for their outstanding achievements in sales, education, industry participation and civic leadership. In 2013 and 2014, he was also named a Five Star Home Professional in Texas Monthly Magazine for client satisfaction. Tom also believes in giving back to the community in organizations such as Street2Feet, the Leukemia and Lymphoma Society, and Texas Young Professionals. In his spare time, he enjoys golfing, cycling, running, and traveling. He is bilingual and has a passion for teaching. 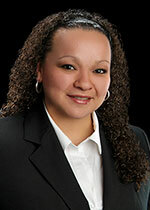 Vera Gonzales is the lead Property Manager for Peace of Mind. She is responsible for owner and resident communications along with coordinating repairs. Vera places qualified residents, performs marketing, and supervises resident move in and move out. Vera is a San Antonio native that graduated from James Madison High School. Before Peace of Mind, Vera worked in various specialties of property management for 6 years. In Vera’s spare time she enjoys the lake, beach and spending time with family.